Our Business is the construction of aluminium covers, protecting stored solid or liquid products as well as the environment of these deposits. Our Products are made of materials with a very long durability and have low operational costs. Based on this we want to work profitably and with satisfied repeat buying Customers. For us this is a confirmation that the method of our approach is sound. 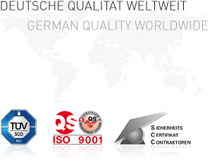 In over 30 years market presence we have been succeeded in developing a product standard, that satisfies our customer's needs and requirements. This standard allows us, to work efficiently and cost effectively. We possess a detailed knowledge of lightweight construction on the one hand and on the other we understand the different requirements of our customers in various businesses and at different sites as to the value chain. This enables us, to identify different customer needs and react flexibly thereto. 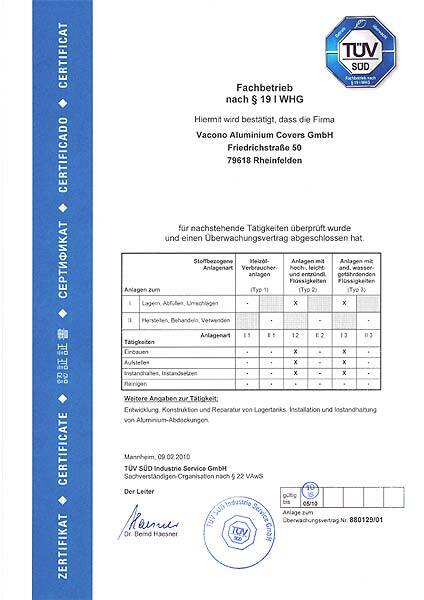 It is finally the reliability of our process sequences, that ensure that also new and once-only product solutions are in accordance with our standards and adjust to the general philosophy of our company. We therefore only offer solutions, which satisfy our customers in the long-term and do not go for the short-term profit. We serve customers from various industries that need light and reliable product and tank covers. We know that the needs and requirements of our customers can be very different, because of legal requirements or financial scope. The positioning within the value chain also necessitates different requirements. We therefore distinguish between customers, which use our products themselves, which operate for us as sales agents and persue their own interests, as well as for international operating (Tank-) construction companies, which transact big projects and are pressed for time and costs. Under this distinction our scope of supply varies from turnkey contractor activities to delivery of material and erection through to OEM products. We optimise both, the characteristics of the product and the vertical integration in a way, which best suits the respective purpose. Therewith we ensure a high customer satisfaction for all applications. We detect customer satisfaction as degree of performance relating to the respective purpose. The intention of this process is the constitution of long-term relationships with our suppliers. 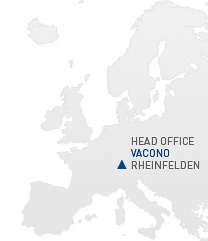 We aim for a trustful cooperation, in which we work together flexibly and efficiently. It is not our intention to change the suppliers in the short-term. The single actions result from the operative cooperation and are not planned separately. The purchase department is responsible for cultivating these relationships. We customise our Organisation. If the demand of our customer should change, we will optimise our Organisation timely and accordingly. We claim for ourselves, that we are the best at listening to our customers and through this realise solutions, which correspondent optimally not only with their request but also with their needs. We distinguish from our competitors through our achievement which results from well-engineered standard and qualitative assured flexibility. We know the difficulties that result from such a claim against the background of apparently similar services and products from others. Therefore we do all that is necessary to anchor our speciality with our customers and partners through our marketing and communication efforts. 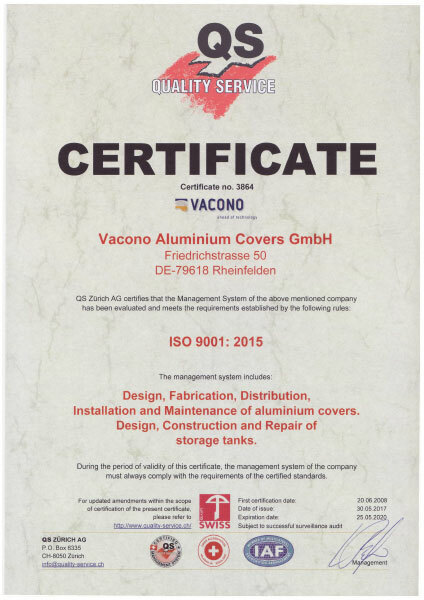 Whoever needs to save his liquid or solid stored products from environmental effects or the environment from the stored products knows that VACONO Aluminium Covers is the proper contact. We claim for ourselves, that we are the best at listening to our customers and through this realise solutions, which correspondent optimally not only with their request but also with their needs. We distinguish from our competitors through our achievement which results from well-engineered standard and qualitative assured flexibility. We know the difficulties that result from such a claim against the background of apparently similar services and products from others. Therefore we do all that is necessary to anchor our speciality with our customers and partners through our marketing and communication efforts. 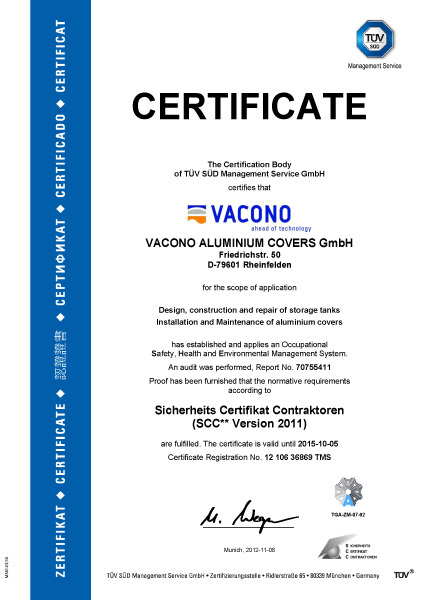 Whoever needs to save his liquid or solid stored products from environmental effects or the environment from the stored products knows that VACONO Aluminium Covers is the proper contact.